Combining a stunning OLED screen, the latest technology to deliver the best performance and graphics, full PlayStation Network connectivity, dual analog sticks and the best launch line up of games, PlayStation Vita is a dream come true for gamers. This is truly next generation portable gaming. The features of PlayStation Vita combine with a diverse, truly innovative range of software to introduce brand new ways to play games. Whether it's using the unique rear touch pad, the dual analog sticks, cameras, GPS - or a combination of them all - players can look forward to an unprecedented level of intuitive interaction with the games they play. Wi-Fi access means that you can access PlayStation Network, stay connected with friends and discover new game experiences via PlayStation Store. Plus connect and play against PlayStation 3 owners with cross-play. As well as the huge variety of games and apps designed for PlayStation Vita , all digital PSP (PlayStation Portable) releases are also compatible, allowing access to a huge catalogue of games at pocket money prices. Listen to tracks from your music library whilst playing games; enjoy blockbuster movies downloaded from PlayStation Store on the OLED screen; or take snaps and browse your photo collection in the pre-installed image viewer. The PlayStation Vita Memory Card will be an essential purchase for new Vita users. 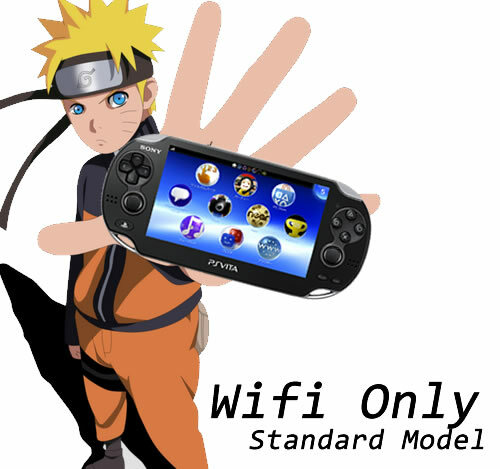 The PlayStation Vita has no internal memory for user data, internal memory is reserved for System Software updates only. The PlayStation Vita Memory Card allows users to store their save games, video files and other content safely and securely - carrying it with them wherever they go. Call Of Duty: Black Ops - Declassified brings the classic Call Of Duty-style gameplay to gamers on-the-go in the most intense handheld Call Of Duty experience only on PlayStation Vita. The title features intense 4v4 multiplayer action across popular modes along with the hallmark Call Of Duty gameplay, including Care Packages, Create-a-Class, Killstreaks, Perks, and even Prestiging. Delivering an original fiction set within the Black Ops universe, Call Of Duty: Black Ops - Declassified offers a complementary series of single player operations. With touchscreen and "Near" features, Call Of Duty: Black Ops - Declassified puts the adrenaline-rush action of Call of Duty in the palm of your hands. Optimized for gamers on-the-go, Call Of Duty: Black Ops - Declassified delivers the most intense handheld Call Of Duty experience to date, including both Special Ops Story mode and Multiplayer combat tailored for the PlayStation Vita.